While the Big Bend National Park is indeed an amazing wonder in West Texas, the communities nearby all have their own kind of charm. I like them all – Marfa, Marathon, Alpine, Terlingua, Fort Davis. But I have to say, Fort Davis truly won my heart. Fort Davis National Historic Site is stunning and I’ll talk about that in another blog. 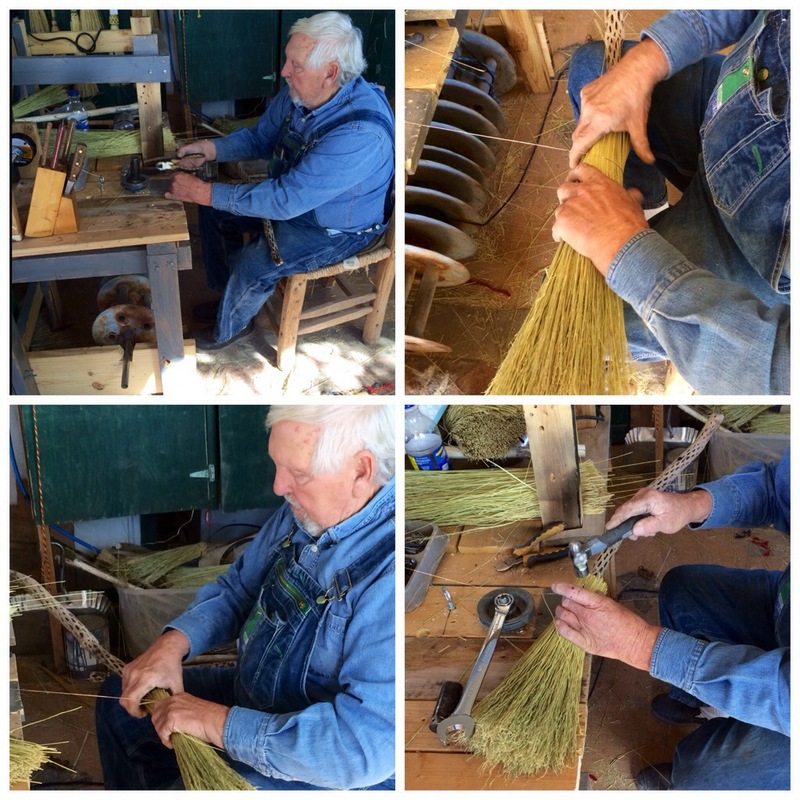 Today, I want to share the talent of Ron Cox, the proprietor of the Davis Mountain 1800’s Working Broom Shop and Walking Sticks. No, it’s not a working title. That’s the name. When I first saw the sign as my husband and I were exploring the community, I didn’t give it a lot of thought. Then my curiosity kicked in and we pulled over. The place is pretty basic. A sidewalk entry with old wood and drying cactus are the first thing your eye sees. 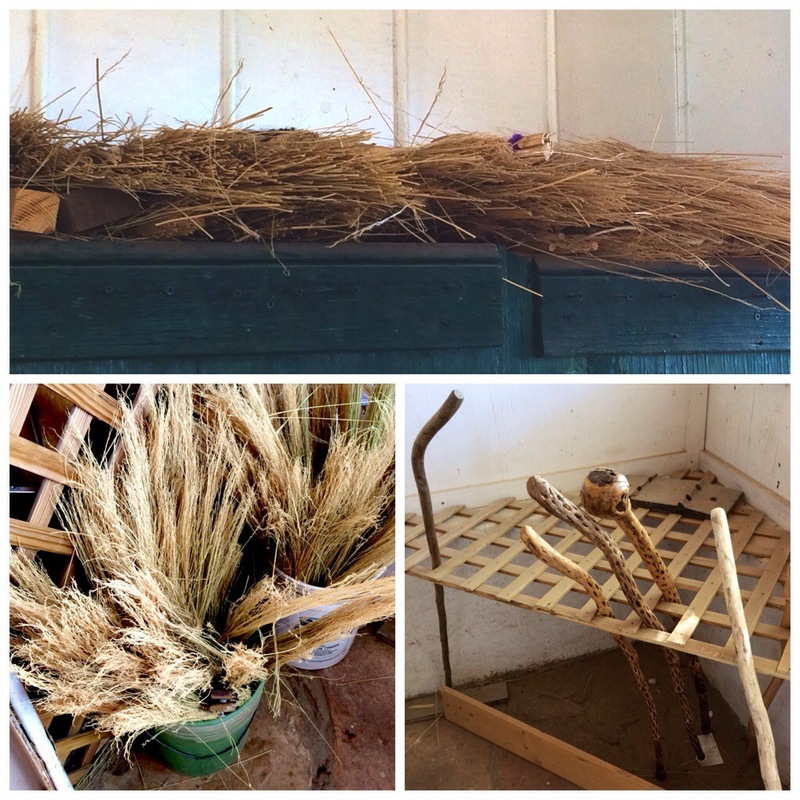 Then you notice the various items used to actually produce a broom or a walking stick. When you walk in, Mr. Cox who is in his late 70’s greets you, wearing his working man’s denim overalls. Mr. Cox will share with you the story of how he moved from Texas A&M territory all the way out to the Big Bend Region. 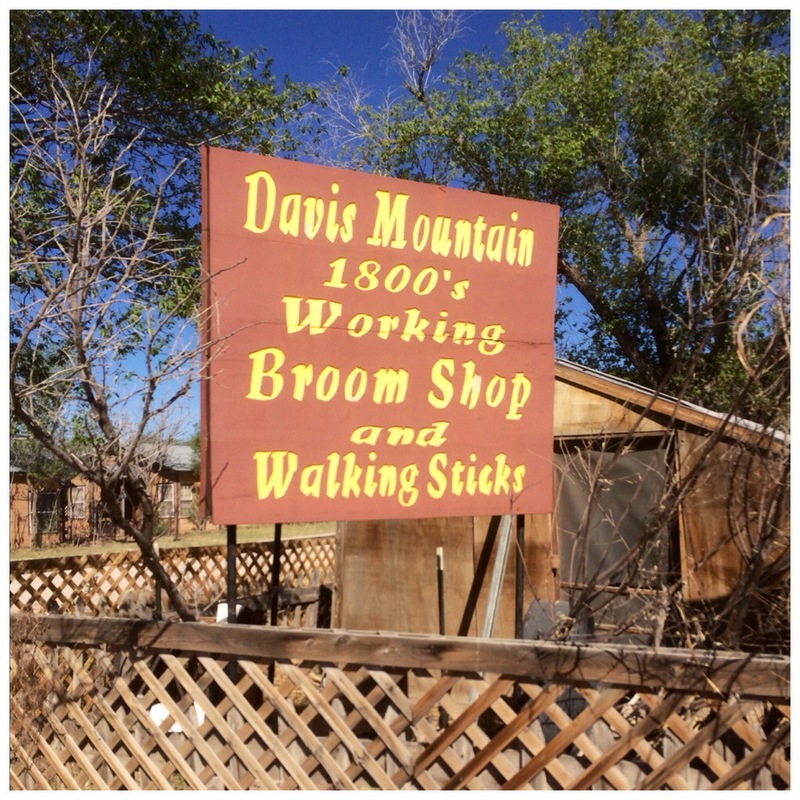 He’ll let you know how he apprenticed under another broom maker in Fort Davis. And he’ll talk with you about the time he made thousands of brooms in only a few months for a man on the east coast who couldn’t find the quality he was looking for until he purchased one of Mr. Cox’s products. The entire time he’s talking with you, he’s actually making a broom so you can watch. When we were there, he produced a broom from start to finish in about 30 minutes. 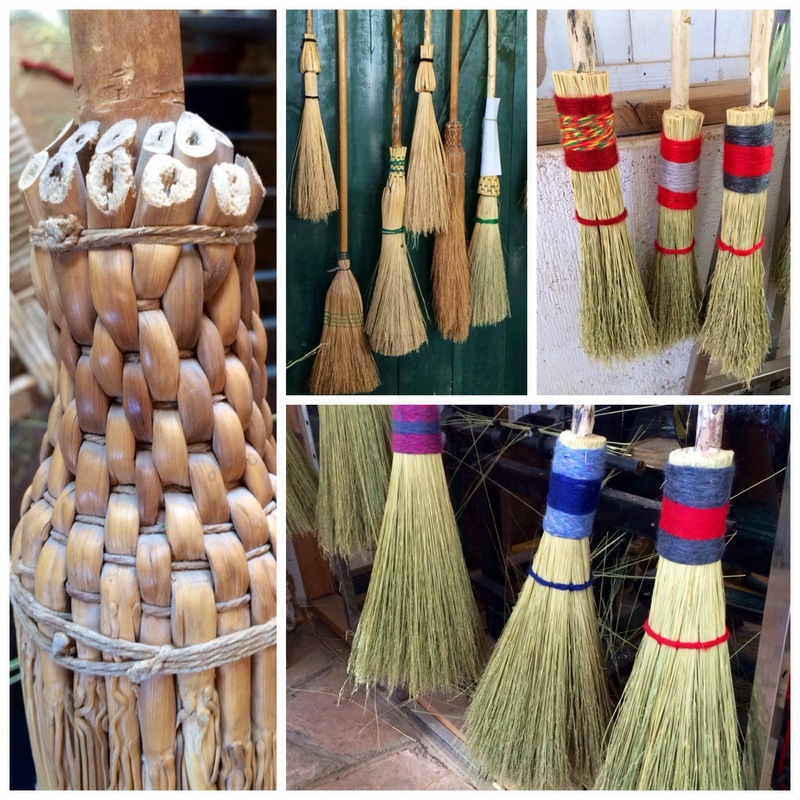 Did I mention he makes all of his brooms by hand? He insisted I try it out against one of the store-bought ones (you know, the kind of broom you bought at a retail store without even a thought of how it was made). Indeed, the broom swept up dirt much more efficiently than its factory-made competitor. So, naturally, I bought it. Mr. Cox would probably be sad to know I don’t actually sweep with the broom as I think it’s too pretty to use on something I drug in under my shoes. I admire people who make a decision to try something new and different and aren’t afraid to jump into the unknown. Mr. Cox said he enjoyed what he does. Good for you, sir. 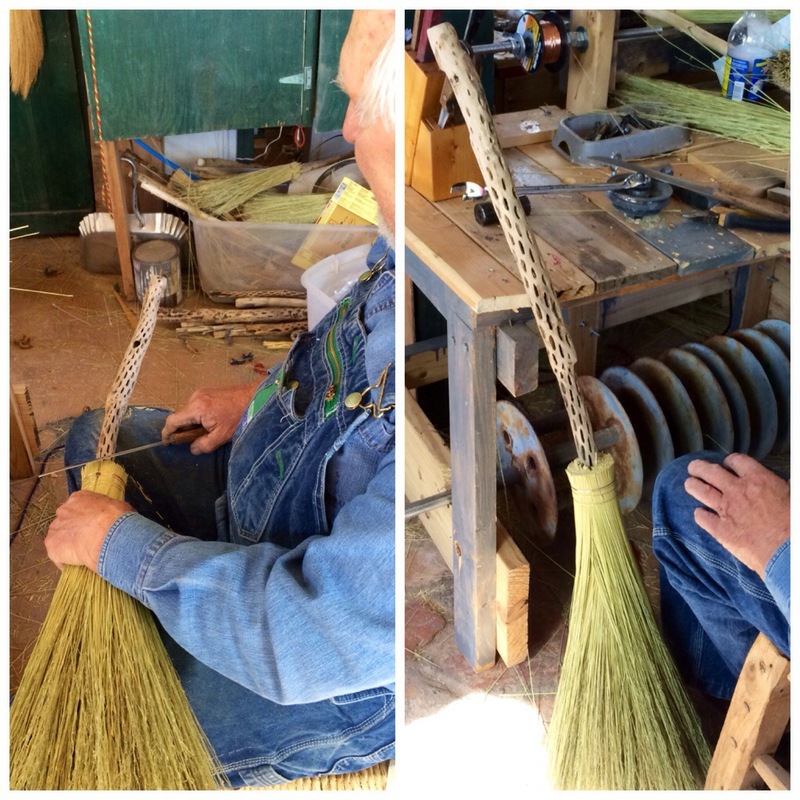 Keep sweeping up the competition, one beautifully made broom at a time. For more information on Fort Davis, visit http://www.fortdavis.com. Safe travels! ‹ Celebrating the United States of America!! !